MainAll NewsJewish WorldWhat is the Third Temple worth? In an interview with Arutz Sheva, Rabbi Uriel Genzel, the rabbi of Revavah (near Ariel), and head of the legislative branch of the Tzohar organization, discussed the value of the Jewish Temple for the world. "The Holy Temple is a kiss between Heaven and earth, as a place where G-d's presence will be more revealed, the Holy Temple where, when a man arrives there, he'll have a more spiritual encounter with the Master of Existence." "We are waiting for the Holy Temple, as a sign of the good news that baseless hatred between ourselves has been eradicated, a Holy Temple which connects and elevates us above the pettiness of day-to-day life, and the silly fights we sometimes become immersed in, which brings us to a connect anew with the Master of Existence." He continues, "[The Holy Temple] expresses itself not only a connection between man and God, but also as a connection between man and his friend, and his nation, and his world...as a messenger of God." When asked what he thought of the claim that the Holy Temple is actually a center of strife, which divides messianists and others, Rabbi Genzel said that those who put forth that argument have missed the point: It isn't that the Holy Temple causes peace. Rather, it comes as a function of it. "The main thing is to uplift the spirit of the people, and to arrive at a point that we want it." Rabbi Genzel explained, "The subject of redemption isn't just of a physical return to our land - which is a huge achievement...rather, it's also a change of one's perspective to one of salvation, and to be a 'redeemer,' meaning to take responsibility for his physical and spiritual level, for himself and for the rest of the nation. The [physical and spiritual matters] are interconnected and simultaneous," he added. According to Judaism, when spirituality improves, it's reflected by an improved and more unified world. The opposite is also true. "We need to start to act [to improve ourselves]...if we pay attention to the roots of the destruction [of the other Temples], we see we have a lot to work on. The issue of baseless hatred, which is the basis of any dispute; the inability to distinguish between a man and his opinion, and to express anger and and dispute on him personally. Our sages taught us otherwise, to be centered, to remain friends [throughout a dispute], and even to marry the opposing side." Rabbi Genzel considered Israel's current state. Are the people unified? 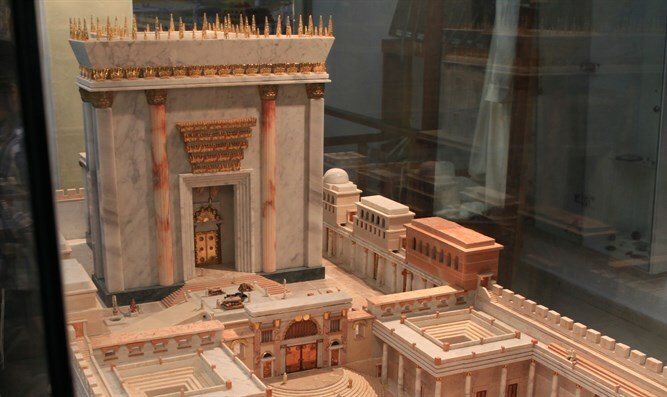 Is Israel ready to build the Holy Temple? "I think we have come a long way. Tension is a thing of the past. I visit everywhere in the land, and I hear new voices. Maybe the connection comes around a unifying disasters, or maybe we matured and learned something."